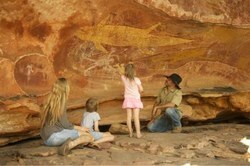 Join us for a unique Aboriginal cultural experience exploring the Quinkan Rock Art sites near Laura. Jarramali Rock Art Tours is an Aboriginal owned and operated business, run by friendly and experienced Kuku-Yalanji traditional owners. 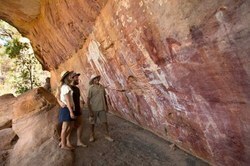 Our guests will have the opportunity to experience significant and amazing rock art sites in the Laura region. The Quinkan Rock Art provides an extensive legacy and is one of the best on the planet. Quinkan Rock Art is outstanding for its variety, quantity and quality, an absolute must see! This is Australia's national history, our crown jewels. It's something all Australians should be acquainted with, proud of and work hard to preserve. Come on a journey to this remote landscape and unravel the stories, thousands of years old that were hidden in our rock art. Tours will give an enchanting narrative of our peoples ways and culture through the stories that are told through rock art, evidence of the oldest living culture on earth. 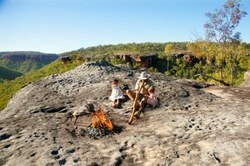 This will result in a guaranteed incredible Aboriginal cultural tour experience.